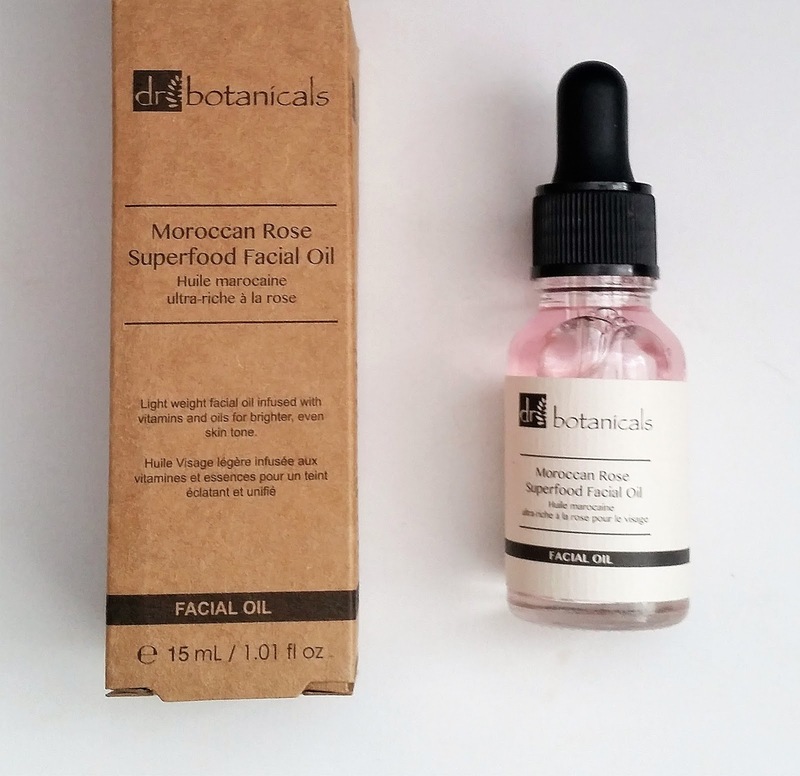 Home / SkinCare / Dr Botanicals Moroccan Rose Superfood Facial Oil. 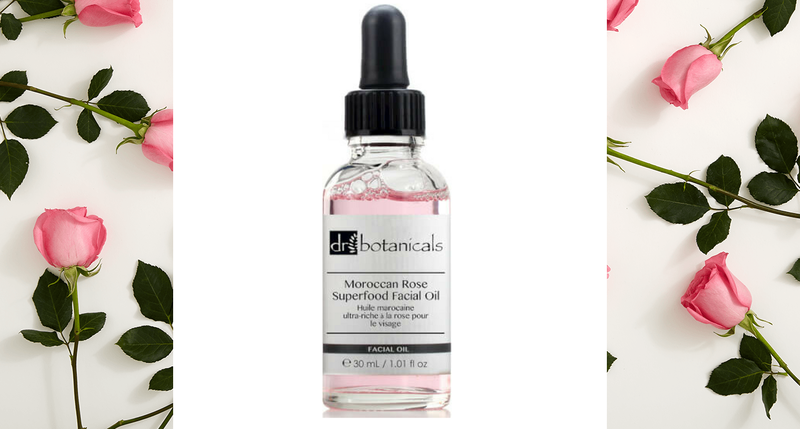 The Dr Botanicals Moroccan Rose Superfood Facial Oil is designed to deliver three key benefits to your skin. Full of skin-loving minerals and vitamins, the facial oil penetrates to deliver these ingredients to rejuvenate, renew and protect your skin. The rich antioxidants and moisturising properties keep your skin hydrated and protected from daily aggressors, thanks to its natural ingredients. Vegan certified, Dr Botanicals products are made only of natural ingredients. Never tested on animals, their range embodies their belief in the potent power of botanicals. The Dr Botanicals Moroccan Rose Superfood Facial Oil is a lightweight oil to help even skin tone and brighten your complexion. Arriving in a bottle with an eye dropper tool for easy dispensing, the oil is a light pink colour that contains active ingredients. Vitamin C helps to stimulate collagen production, for younger-looking skin. Vitamin A is a powerful antioxidant with aims to rejuvenate skin, even skin tone and reduce the signs of ageing; while protecting from free radicals. Almond Oil deeply moisturises and nourishes skin, whilst brightening the complexion for brighter fresh looking skin. Vitamin E prevents skin damage by protecting skin from free radicals thanks to its anti-oxidant properties. Apply the Dr Botanicals Moroccan Rose Superfood Facial Oil to cleansed skin, or u can apply after your usual serums that you use in your skincare regime. The texture of this facial oil is very lightweight that it absorbs into the skin quickly without leaving any trace of itself. The consistency is water like which helps the oil spread over the skin, helping you to only need to use 2-3 drops. Leaving the skin instantly smooth and soft, you will notice that there is no greasy feeling that typically is experienced when using an oil. Suitable for normal skin, the oil contains parfum (fragrance) so it all depends if your skin can tolerate fragrances, your senses will smell light, sweet, sugary notes. The Dr Botanicals Moroccan Rose Superfood Facial Oil is a heavenly facial oil that delivers its promises in looking after your skin and complexion each time its applied. A skin-loving facial oil that caters for people who are looking for a multi-beneficial skincare oil without that sticky or greasy feeling and leaves skin hydrated without that full on shine effect. 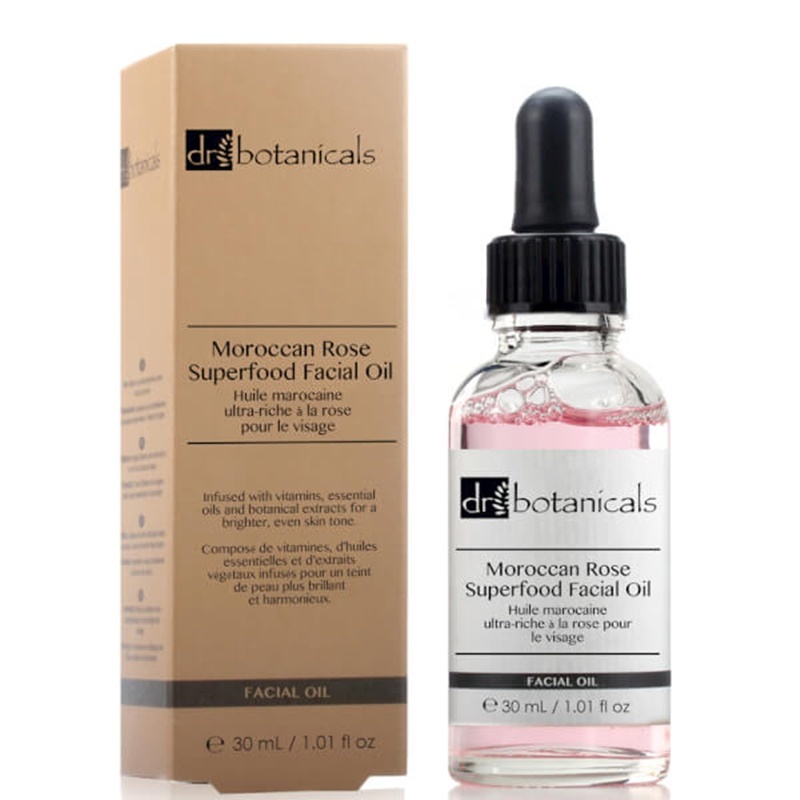 Find out more at Dr Botanicals and add their Dr Botanicals Moroccan Rose Superfood Facial Oil to your skincare regime. X Neil.